Credit: Courtesy of PD www.imagebase.davidnilblack.com-google images)The two words 'terminal illness' are powerful enough to bring us to our knees. Which probably is the only place to be when you think of it. Now we all know we are going to die at some point, preferably after living long and full lives. Still, when we get the news for ourselves or for a loved one of terminal illness, it is a full-on shock to our systems. Whether it is Alzheimer's, cancer, heart disease, ALS, or too many other illnesses to list here--even if we expect the diagnosis--it doesn't seem to change the fear and the dread that accompany the words. If you are the caregiver, you have probably already found that minds and bodies adjust to more than we would ever imagine. They are remarkably tough and resilient. What is a 'normal' healthy life one day can turn into a frightening roller coaster ride the next. Only it may last years and you don't get to choose to ride. You are more or less pulled onto it and can only hang on through the heart dropping moments. As a caregiver, in any sense of the word, it takes a while for the diagnosis to sink in. Generally you have gradual stages that worsen. First, it takes some time to adjust to the diagnosis itself, to get your mind around it, to face what changes you perceive are coming. You eventually get 'conditioned' to it. Then comes another stage, again causing a new period of fear (terror may often be the more appropriate word), and again you adjust. Somewhere in here you will start to grieve. You reach a point where it just is. It's a place where you think, this is life from now on, this is the person you have become. You start to feel that things will never change. Sometimes that can be the scariest of all. I realize that is oversimplified, and that it is anything but easy. Please don’t think for one minute that I am minimizing what a terminally ill person is going through. That is not my intention. I hope and pray they are receiving all they need for any possible healing, for any pain, for any discomfort. I’m just looking at this from the other side, for the caregivers out there, for the people who are doing the best they can but at times feeling beat down from the process. There are many positive moments too, and events that draw you closer, times of gentle joy. They are part of why the unwanted, stressed out, negative feelings make you feel worse and can take you by surprise. Please forgive my bluntness as well if it seems that way. Once you go through it, there doesn’t seem much reason to skirt around the proverbial elephant in the room. Maybe that is just me. Though I confess that even after all this time, I often still feel a need to avoid someone going through the pain. Even ten years later it can still overwhelm and make me withdraw. Again, you never know how your body or mind will react. I always thought I was stronger than that. Lastly, please don’t think this comes from a “poor me” sentiment at all. It’s over and it’s far removed now. All in all, my caregiving was easy compared to some of my friends. Some diseases can be so terrible and require difficult and constant care. It hurts to think how much harder that must be. And while my mother has Alzheimer’s now, she is in a facility (which I highly recommend), so my care for her is more supportive. Alzheimer’s certainly qualifies as a terminal illness, but it’s gentler in some ways, though considerably longer. The goal here is that those who are providing care for someone terminally ill (or already have), will know they are not losing their minds and that they are not alone in their feelings. It’s part of pre-grieving. 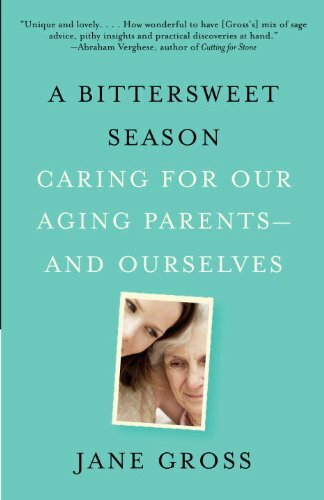 Written by reporter, Jane Gross, here's a popular, highly rated book to help guide you through our parent's aging. There is so much that would help to know ahead of time. Over 400 pages you will be glad you have. Also it will help you consider your own wishes as you age! If you have difficulty talking about illness, death, and dying, I would suggest this book to you. It would probably be good for everyone to read actually. The book covers many of the feelings you will go through, helpful knowledge to help you know you aren't the only one. You can't hide from a terminal illness. If this book enables you to face it, to talk to your loved one, I believe you may find strength in it. Credit: Courtesy of GaÃ«l Chardon on FlickrI faced some horrible feelings over those years. Feelings that made me selfish, callous, mean, and unfeeling. And at times they were accurate, if unwanted. I felt terrible but was unable to stop it. On top of that, would be the guilt for feeling that way to begin with. At other times it seemed like I felt nothing, as though I just shut off. Stoic is the word I used to describe it then. Unfeeling. Funny how accurate I was. I looked it up in a dictionary for this lens. Here is the definition: “Free from passion, unmoved by joy or grief, submit without complaint to unavoidable necessity.” Does that ever sum it up! Somewhere along the road I figured out I was grieving, or as I call it, pre-grieving. All those feeling that come and go are why I would urge you to see your own doctor early on and regularly. Many of the emotions you feel may come from depression or from being run down. It’s very important to follow a doctor’s recommendations during such a difficult and stressful time. Most of us expect the stages of grief when someone we love dies. It’s commonly broken into stages that include include emotions like shock, denial, anger, guilt, bargaining, depression, acceptance. Consider that similar stages may apply to pre-grief as well. 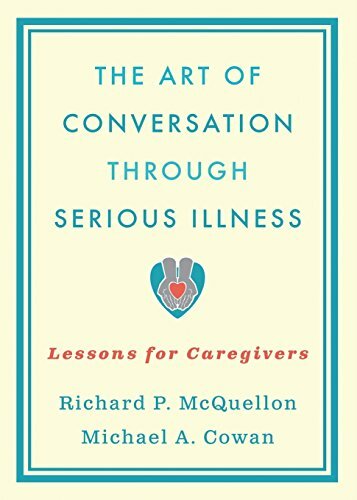 You will cope with a plethora of emotions as a caregiver. Some come and go, some stay with you way too long. They vary greatly if you are caring for a spouse versus a parent. You may feel all of these, or maybe just a few. This list will hopefully make you aware that it's not unexpected. It's a part of the process, much as grieving is after death. I feel like I should put a check by too many of these as I go down the list, "yep, been there...done that..."
Impatient with others, including the one you are caring for. Scared to terrified, depending on the day. Angry with the afflicted person. Alone, isolated, or abandoned. Even close friends may have difficulty visiting. That you will never go back to the person you were. Like no one cares about you. Overwhelmed (Yes it's in here more than once). Stoic. That you have stopped feeling much of anything. That you want it to be over. Like you are a terrible person for feeling the above. Perpetually that your heart has dropped to your stomach. Frustrated and/or angry that you can no longer do things together that you always did. Even something as simple as going to dinner. That no one else will help. As though it's gone on forever, even if its just weeks. Like it has always been this way. Continual worry and fear for what your loved one is going through. Relief when your loved one dies. Overwhelmed (for the third time). Guilt, saved it for last, though possibly one of the biggest. Credit: Copyright MerrciIn case you aren't familiar with my articles, my husband died 10 years ago after a long struggle with COPD/Emphysema. For the last four or five years of his life he expected to die any time. We were fortunate that he was able to live a fairly normal life until the last year or so. He’d have episodes that would land him in the emergency room, but then we’d go home and back to our routine. During those years, he was told he would never live through the next cold. He did. He was told if he got pneumonia it would kill him. He did and it didn’t. After he got through several close calls, I assumed he would get through the next one too. And he did. Until the last one. His death was unexpected. That’s another lesson I learned. After so many years you wouldn’t think that would be the case, but it was. I don’t know if you’d call it complacency or avoidance, but when he got sick I expected him to recover. He had so many times before. Perhaps it’s a method of coping. One step at a time can be plenty to deal with. Many illnesses don’t allow for a person to recover even a step. We were luckier than many that way, though I doubt I’d call it that. When your caregiving season is over you will gradually find things that bring cheer and laughter back into your life. I still remember when I realized it. A simple email made me laugh. Those forwards that I never had time for now cheered me up. You’ll regain your interest in things you liked before and find new things that draw your interest and bring positive change. I hope you will find simple pleasure in exploring your interests, trying out different ones, making changes in your life because you want to. The passage of time, the lessening of grief, will eventually return you more or less to the person you were before grieving. Though honestly, the whole process changes you and your life in unexpected ways, both good and bad. New friendships tend to open up since you are in a different place. Some old friendships may grow a bit more distant. Decisions are much harder at first, and at a time when you may need to make a lot of them. The most important thing is to go easy on yourself. There is no set time to work through the process. Some will quickly adapt to the new circumstance, others will take a long time. You’ll get through it though, and might be surprised to feel better and stronger than before. Something else to know; you don't have to grieve on anyone's timeline but your own. Sometimes you will run across people who will just think or say "get over it..." Try not to let that get to you. Yes, you will have to get on with your life, but you may still grieve in terms of years, certainly not months. One last thought; I’d do it all again. Those I’ve know feel the same way. We are glad to have been there with our husbands, our parents. We wouldn’t have changed that part. We just didn’t expect the negative emotions that came along with it. That is why I wrote this. Take care of yourself. See your doctor and let him know what you are going through. He/she may have more suggestions that you realize, and can monitor you so you don't get too rundown or depressed. There are support groups out there if you up for them. Hospice may offer some, your local hospital may know of some, your newspaper should have lists of them. Accept help when it is offered. If possible, don't try to do it all yourself. If you are a friend of relative of someone in this position, stay in touch. Please don't assume other, closer friends are providing support and contact. Often it is difficult for them to face, so they avoid. Try not to be one of those. You can offer a break to the caregiver, bring a meal or coffee, call every so often. Caregivers, please make yourself take a break. Try to take some time away when you are doing something other than the routine things like running errands. Go for a walk, sit on the beach or in the park. Cherish the fresh air and the outdoors. Go to the library. Do something that takes you out of it if only for an hour. Try to find some help. Many areas have seniors even that would come and keep your loved one company while you get out for awhile. Many social service offices keep a list of people who are available to help with care, chores, errands, yard work or repairs. If you get the information ahead of time, when you need you'll know who to call. Try to maintain a hobby or something you enjoy doing. Whether it's crocheting or painting or gardening, keep it up when you can. It's good to have something you've always enjoyed doing. If you are looking for a way to show you care, you might consider a gift basket like this one to remind the Caregiver they need to take care of themselves too. Or perhaps a book you think they would enjoy, something for a hobby they have. So often a caregiver doesn't take--or have--time for themselves.